Number of garden openings by region – Aberdeenshire (24); Angus & Dundee (25); Argyll &Lochaber (33); Ayrshire & Arran (22); Berwickshire (6); Caithness, Sutherland, Orkney & Shetland (16); Dumfriesshire (24); Dunbartonshire (7); East Lothian (13); Edinburgh, Midlothian & West Lothian (23); Fife (28); Glasgow & District (14); Inverness, Ross, Cromarty & Skye (36); Kincardine & Deeside (9); Kirkcudbrightshire (18); Lanarkshire (9); Moray & Nairn (11); Peeblesshire & Tweeddale (21); Perth & Kinross (43); Renfrewshire (7); Roxburghshire (9); Stirlingshire (21) and Wigtownshire (9). 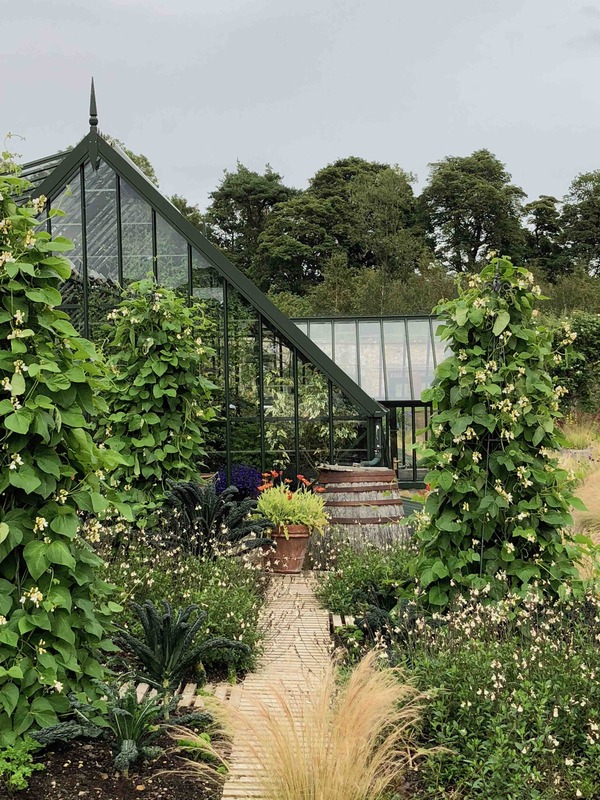 The positive link between gardening and health is being celebrated by Scotland’s Garden Scheme as it unveils hundreds of private gardens opening to the public during 2019 to raise money for charity. Whether you garden yourself, have a desire to learn more or just want to reap the wellbeing benefits of being around nature, the national open garden charity is encouraging people to get out and explore Scotland’s horticultural treasures. And for the second year running it will be joining its sister organisation in England and Wales, the National Garden Scheme, to hold a Gardens & Health Week* giving community groups and schools free access to volunteer gardens to show how therapeutic and inspiring garden spaces can be. the romantic garden at Ardno and Strachur House on Loch Fyne with its walled garden, gorge and meadow. This year’s guidebook ‘cover garden’ is the photogenic Whitburgh House Walled Garden in Pathhead, Midlothian which is described as a ‘lively forward-looking and unexpected gem’. This contemporary garden boasts clipped foliage that acts as a foil for the many perennials, grasses, annuals, fruit and veg, plus ponds and sculptures around 14 acres of grounds. More than 250 local and national charities will benefit from the funds raised through garden openings including Scotland’s Gardens Scheme’s own beneficiary charities – the Queen’s Nursing Institute Scotland, Maggie’s and Perennial. It will also be offering a £5,000 bursary to a guest charity to help fund garden-based projects to improve physical, mental and emotional wellbeing. Last year Horatio’s Garden received a bursary towards a garden room at its project at the Queen Elizabeth National Spinal Injuries Unit in Glasgow. Over £1 million has been raised for charity over the last four years through Scotland’s Garden Scheme’s openings. For further media information please contact: Emma Mason on emma@emmamasonpr.co.uk or 07762 117433. High res images are available. 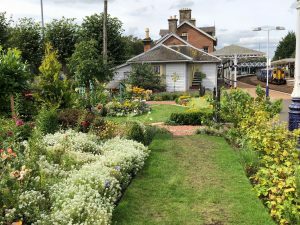 Scotland’s Gardens Scheme raises money for other charities by facilitating the opening of large and small gardens of horticultural interest throughout Scotland to the public. Most are privately owned and are normally inaccessible to the public at other times. Visitors can plan their days out to participating gardens by clicking onto www.scotlandsgardens.org. Click on which area you’d like to visit and details of all gardens opening locally will be displayed, with opening hours, online map and key details. Garden highlights can also be found on Twitter @ScotGardens Instagram ScotlandGardenScheme and on Facebook ScotlandsGardens. As well as on the website, garden listings can be found in the Scotland’s Gardens Scheme 2019 Guidebook, on sale in major bookshops, at tourist attractions, garden centres etc and online via www.scotlandsgardens.org. Sixty percent of funds raised may go to charities nominated by each garden owner with the net remainder being donated to SGS beneficiary charities. *Further details on Gardens & Health Week, to be held this summer, will be available on the Scotland’s Gardens Scheme website in the spring and on the National Garden Scheme website www.ngs.org.uk.